Linda Shaw at her home in Springdale, Arkansas. Linda Shaw graduated from Miami Sr. High School in June of 1958. It was a memorable year for her, of course. 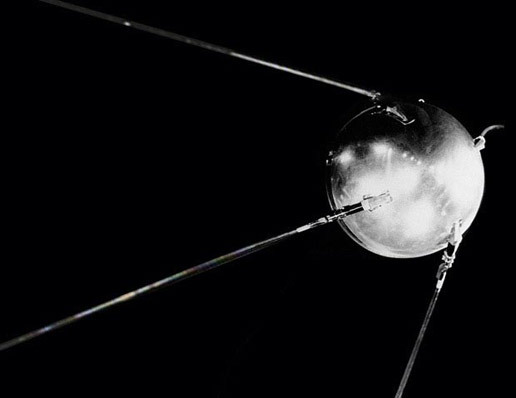 But space buffs may remember the previous year more vividly, since 1957 is the year that Sputnik was launched. The small satellite shocked the American public, as the purpose of the satellite was not clearly known. It was almost too small to be seen with the naked eye, and it transmitted a steady beeping noise that was recorded by radio amateurs and commercial radio stations and broadcast to the general public. Historians describe America's reaction as "near hysteria" to the strange little beeping thing. The great Space Race thus began between the U.S. and the Soviet Union, and no one could argue that the Soviets were far in the lead. The U.S. began reviewing its science and education programs in order to become more competitive with the Soviets. Large amounts of money were poured into schools and research programs. It was decided that "America could become better educated and more powerful if their kids were smarter!" said Shaw. Senior students at Miami Sr. High typically enjoyed the privilege of not having to take final exams if they had a passing grade in all of their classes. But the launch of Sputnik changed everything! "What better way to make them smarter than have seniors take final exams?" asked Shaw. "And I bet every senior in 1958 remembers that. No, it didn't make us smarter - just madder."